This B&H Kit combines four CHAUVET PROFESSIONAL COLORdash Accent Quad spotlights with three 5' DMX cables, a 25' DMX cable, and four clamps to create a professional-quality accent lighting installation package. 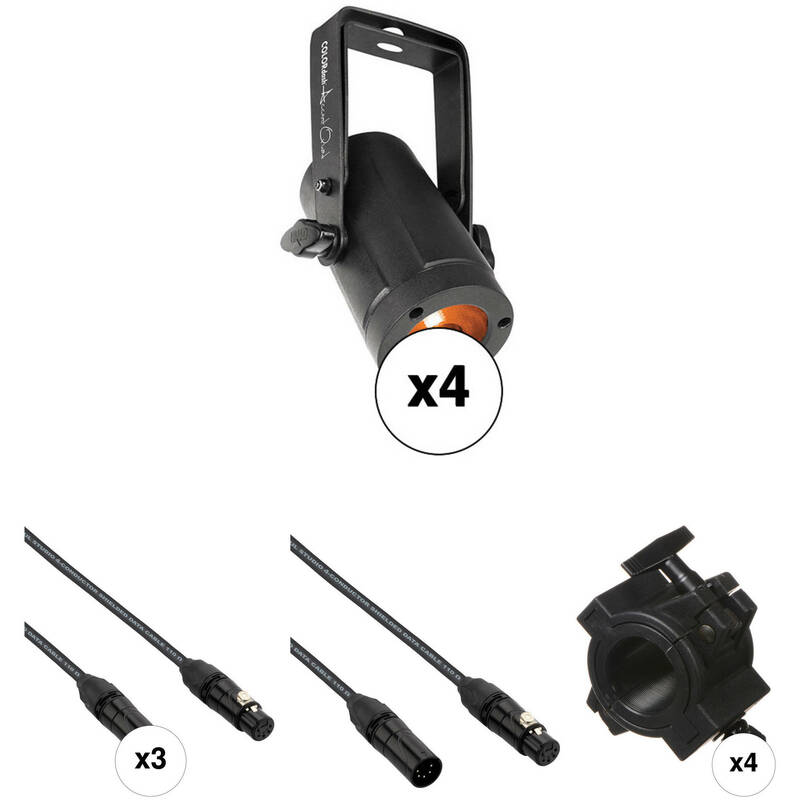 The COLORdash Accent Quad LED light from Chauvet delivers a punch of evenly mixed light into tight locations. Powered by a 10W quad color (RGBA) LED, this palm-sized fixture excels at delivering saturated colors and brilliant pastels with a soft, even glow. An onboard OLED display controls and addresses the fixture via DMX or in a stand-alone mode. The American DJ O-Clamp 1.5 fits a 1.5" truss when used with the supplied adapter. It also fits a 2" truss when the adapter is removed. The clamp has a non-abrasive interior, offers compatibility with ADJ LTS-1, LTS-2, and LTS-30 lighting stands, and rotates 360 degrees around truss tubing. Load capacity is 28 lb. Box Dimensions (LxWxH) 8.3 x 6.2 x 6.2"
Box Dimensions (LxWxH) 4.5 x 3.75 x 2.25"